The impairment of a fixed asset can be described as an abrupt decrease in fair valueFair ValueFair value refers to the actual value of an asset - a product, stock, or security - that is agreed upon by both the seller and the buyer. Fair value is applicable to a product that is sold or traded in the market where it belongs or in normal conditions - and not to one that is being liquidated. due to physical damage, changes in existing laws creating a permanent decrease, increased competition, poor management, obsolescence of technology, etc. In case of a fixed-asset impairment, the company needs to decrease its book value in the balance sheet and recognize a loss in the income statementIncome StatementThe Income Statement (or Statement of Profit and Loss) shows performance from operations of a business. The financial statement begins with revenues and. All assets, either tangible or intangible, are prone to impairment. A tangible asset can be property, plant and machineryPP&E (Property, Plant and Equipment)PP&E (Property, Plant, and Equipment) is one of the core non-current assets found on the balance sheet. PP&E is impacted by Capex, Depreciation and Acquisitions/Dispositions of fixed assets. These assets play a key part in the financial planning and analysis of a company’s operations and future expenditures, furniture and fixtures, etc. whereas intangible asset can be goodwill, patent, license, etc. Impairment charges provide investors and analysts with different ways to assess a company’s management and its decision-making track record. Managers who write off or write down assets because of impairment might not have made good investment decisions or had lacked the vision before making that kind of investment. It is generally difficult to know the measurement value that must be used to ascertain the impairment amount. Few of the popular ways of measuring the same includes finding out the current market value, current cost, NRV, or the sum of future net cash flows from the income-producing unit. 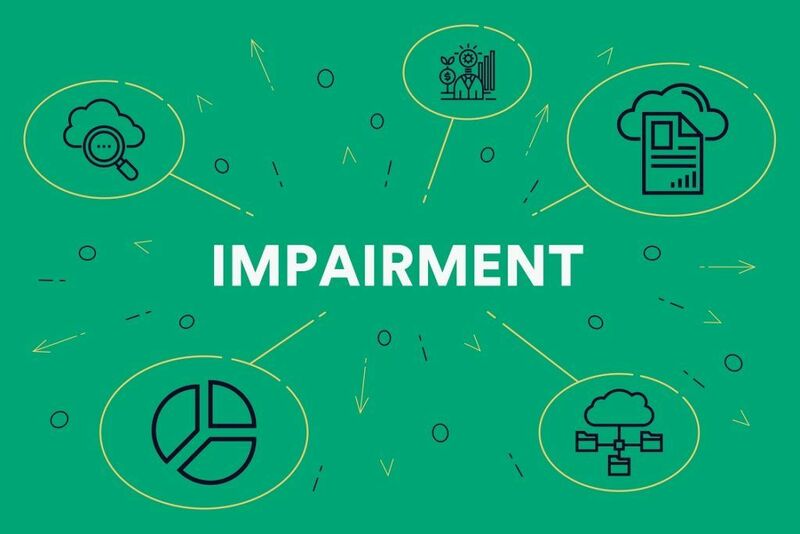 The detailed guidance on treatment for impairing assets is not there, like when to recognize impairment, how to measure impairment, and how to disclose impairment. Though both terms may seem similar, impairment relates more to a sudden and irreversible decrease in the value of an asset, for example, the breakdown of a machine due to an accident. Generally, amortization is believed to be a systematic decrease in the book value of an intangible asset, based on the planned amortization plan. The total write-off is usually spread across the complete life of the asset, also considering its expected resale value. In 2006, Tata Steel Ltd, which ranks as one of the largest steel companies in India and in the world, made its biggest acquisition, purchasing Anglo-Dutch steelmaker Corus Group Plc. Corus was established in 1999 and was the second-largest steel company in Europe before its acquisition. With the objective to tap the European market and secure technology benefits, Tata Steel initially bid $13bn for Corus. Following a highly competitive auction process, Tata Steel was able to win after showing a quite optimistic view of the asset. Some industry experts also believed the Indian steel company was quite optimistic and aggressive in the whole process. The entire story of the bidding and the synergy benefit was not well taken by the markets and the share price of the company fell by 11% on the day of announcement of the deal and by more than 20% in a month. In 2013, Tata Steel, after realizing the extent of the valuation they paid, chose to impair the acquired assets and reached a figure of $3bn by impairing goodwill and assets. The reason given by the management for such impairment was a weaker macroeconomic and market environment in Europe where apparently steel demand fell by almost 8% in 2013. The situation was expected to continue for the medium-term time frame, and thus management needed to revise the cash flow expectations. The Tata Steel example was not the only case where goodwill or other assets were written off. In 2012, Arcelor Mittal, the world’s largest steelmaker, wrote down its European business assets by $4.3bn after the eurozone debt crisis hampered demand. Even other companies, such as Nippon Steel and Sumitomo, impaired certain assets for their Japanese operations.